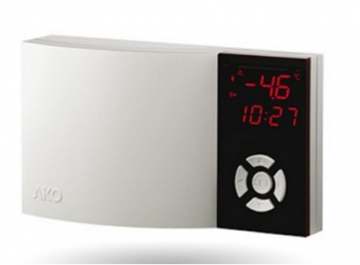 AKO Controls provide a wide range of controllers for the Industrial and Commercial Refrigeration market. They consist of control algorithms designed to achieve greater energy efficiency. 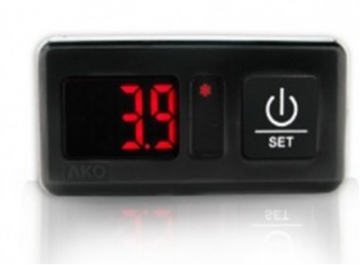 AKO Controls have intelligent menus and offer easy browsing for quicker and more intuitive configuration. RANGE FROM -50 ºC TO +150 ºC, PANEL MOUNTING Temperature display. Application: Industrial and commercial refrigeration, displays, incubators, vehicles Temperature display in °C or °F with decimal point. NTC/PTC probe selectable byprogramme. Allows probe calibration. A single button for adjusting parameters. The AKO-14023-C model has integrated RS-485 communication. RANGE FROM -50,0 ºC TO +99,9 ºC, 3 RELAYS, PANEL MOUNTING Compressor, fan and auxiliary relay Application: Industrial and commercial refrigeration, display cabinets, electrical panels, etc. Auxiliary relay programmable as Defrost, Alarm or Light. 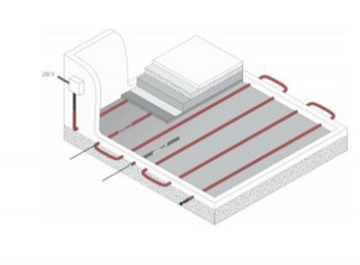 Defrosts programmable by controlling compressor, resistances (or cycle reversal) and fans. A optional probe allows defrosting by temperature. Programmable digital inputs such as door switch, external alarm, remote defrost, energy saving or continuous cycle. Configuration wizard depending on application (8 configurations). The AKO-14323-C model has integrated RS-485 communication. RANGE FROM -50 ºC TO +99 ºC, 4 RELAYS Compressor and auxiliary relay (defrost or fans). Application: Industrial and commercial refrigeration, display cabinets, electrical Auxiliary relay programmable as an alarm, 2nd defrost, gas collection or light. Defrost by heat, air or cycle reversal, programmable by controlling compressor, resistances (or cycle reversal) and fans. Real-time clock for starting defrosts. A 2nd optional probe allows defrosting by temperature. Programmable digital inputs such as door switch, external alarm, remote defrost, energy saving or continuous cycle. Integrated RS-485 communications. Configuration wizard depending on application (8 configurations). 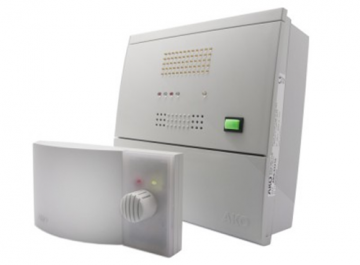 (8 configurations) for AKO-D14412-RC and AKO-D14423-RC devices. RANGE FROM -50 ºC TO +150 ºC, WALL MOUNTING NTC or PTC probe selectable by programme Application: Industrial and commercial cold, cold rooms, industrial warehouses, etc Temperature display in cold and heat applications. 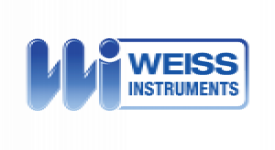 Allows probe calibration, display in ºC or ºF and password to enter programming. Fixing holes adapted to universal embedding box. 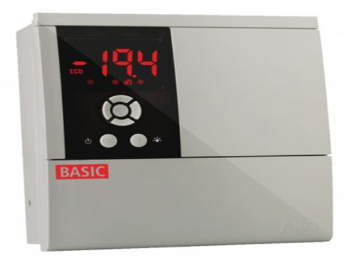 TEMPERATURE CONTROLLER FOR POSITIVE OR NEGATIVE TEMPERATURE COLD STORAGE ROOMS Control 5 relays, from -50 ºC to +100 ºC. Application: Industrial and commercial refrigeration. 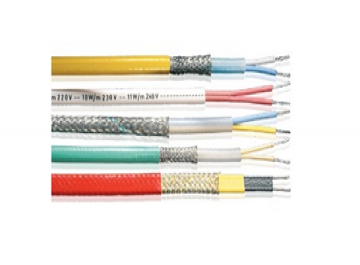 Ideal for positive or negative services and ventilated refrigerated units. Defrost using resistances with configurable auxiliary relay. Gas collection manoeuvre (pump-down) selectable per programme. 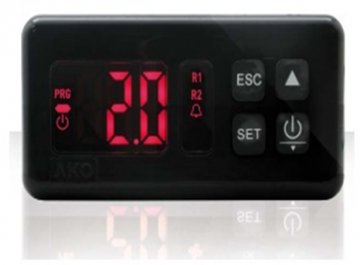 Digital inputs for door switch, high pressure controller, low pressure controller, remote defrost, Set-Point change (energy savings).Allows a 2nd temperature probe to control the evaporator's fans and end of defrost. Does not contain an internal battery. Application: machine rooms, negative cold room stores, sales rooms, preparation rooms, food logistics and distribution centres. 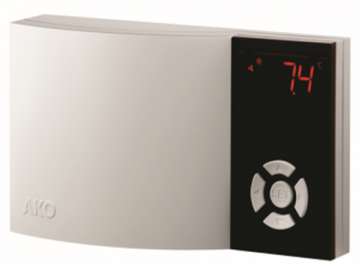 COMBIAlarm allows a fast and easy installation in the configuration of the device. It is also very precise to detect from 500 ppm (according to the type of gas), which guarantees a safe and efficient facility. The easiest and most efficient way to comply with current standards in your refrigerated facilities with the most complete and flexible device on the market. It is made up of a central unit with powerful acoustics and display with IP65 protection so that it can be installed in hostile environments. Up to 4 luminous emergency buttons that can be connected to be used as a single trapped person alarm or a combination of up to 2 gas leak sensors and 2 emergency buttons. Application: machine rooms, cold room stores, sales rooms and preparation rooms. Installation of a fixed gas detection system in premises, with a concentration of over 25 kg of freon gas (50 kg in the case of the R17), where there should be an optical and acoustic alarm, both inside and outside the building and the possibility of sending a signal in the event of an incident for remote monitoring. Furthermore, the use of this device allows immediately detecting possible gas leaks with levels of 500 ppm (according to model), to minimise risks for people in occupied spaces and the economic impact of the loss of refrigerated gas. It also has a warning system in the event of a broken cable in the sensors, supplied with a calibration guarantee of 3 years. For single-phase and three-phase condensing and evaporator units. Cold rooms above and below freezing. Defrost by air/time or resistors. PROPlus is the comprehensive, single-device electronic solution for managing cold rooms, both above and below freezing, in conjunction with: Standard condensing units, fully enclosed condensation, as a service panel in decentralised systems. Electronic panels with overall 16 A thermo-magnetic protection, for controlling cold rooms, with up to 2 HP compressors, with the following components: Compressor/ Liquid solenoid, single-phase evaporator fans, defrost by air/time or electrical (up to 2,500 W 230 V/l). Electronic panel with thermo-magnetic circuit breaker for control circuits and resistors for controlling cold rooms, with the following components: Compressor/liquid solenoid, single-phase evaporator fans, defrost by air/time or electrical (up to 6.500 W 400 V/lII). 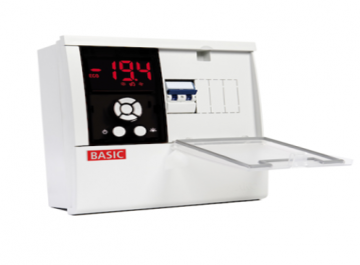 PROPLUS 3PH BASIC ELECTRONIC PANEL WITH THERMO-MAGNETIC CIRCUIT BREAKER UP TO 25 A, FOR CONTROLLING COLD ROOMS.